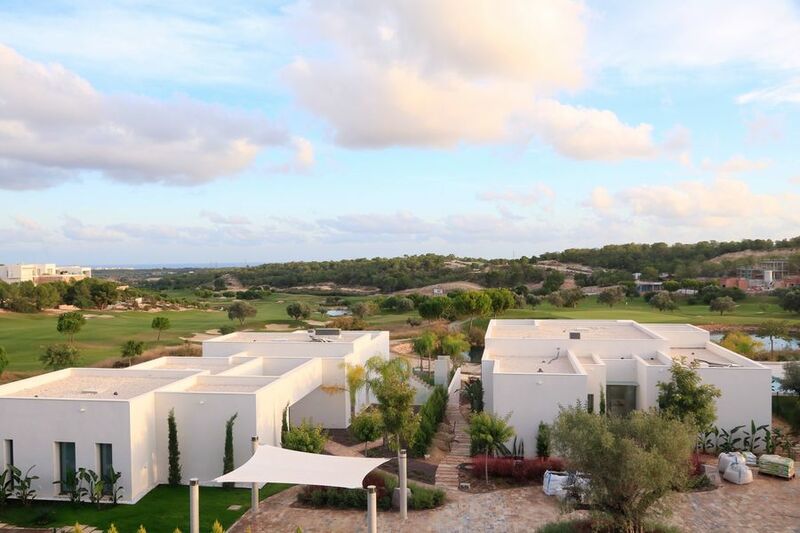 We are pleased to bring to market this unique villa located in this desirable community on Las Colinas golf resort. Having only been completed this summer, and all the villas selling out fast from their initial release, this is a great opportunity to own a bespoke property here. 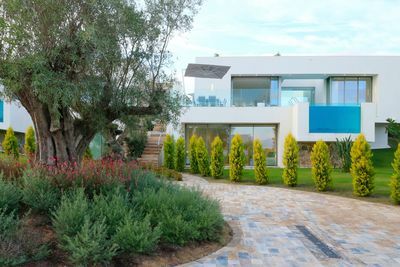 As you enter the secure gated community, each villa has its own private parking places, and entrance path surrounded by mature gardens. 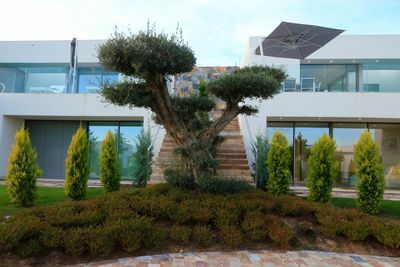 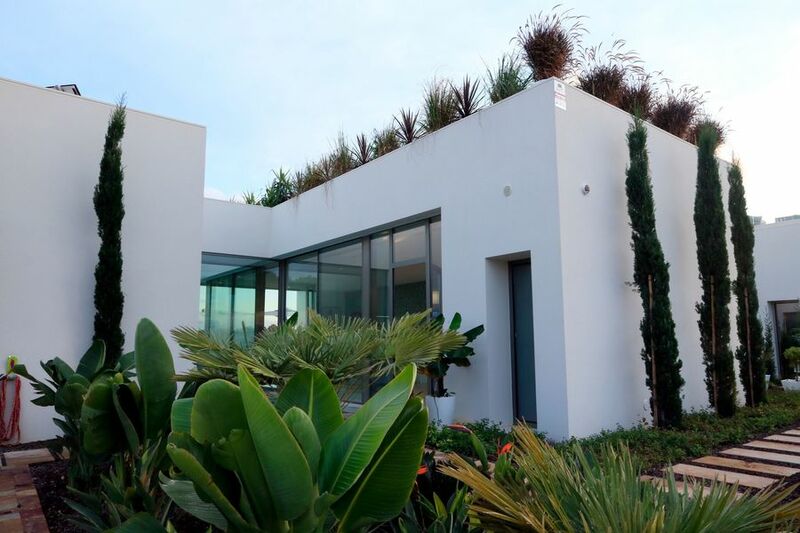 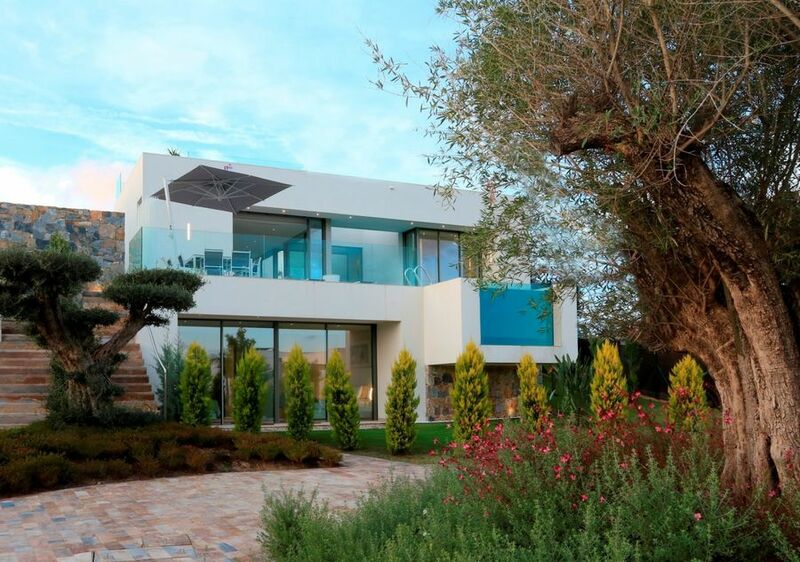 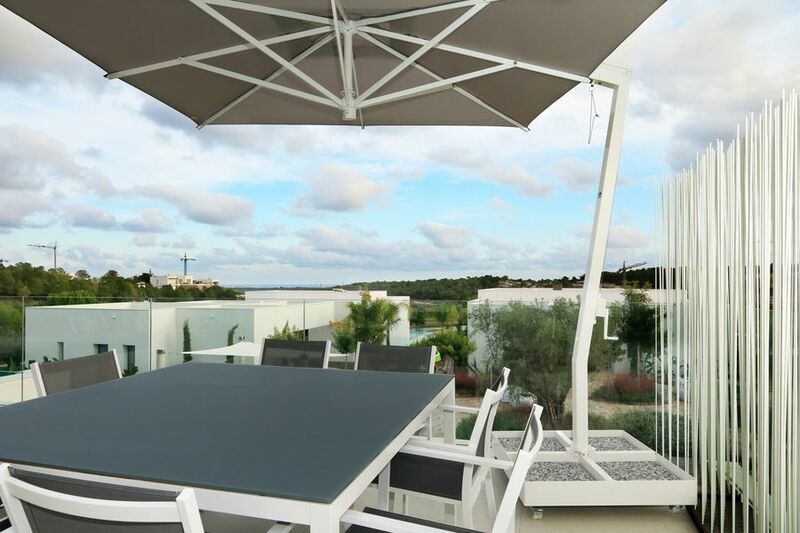 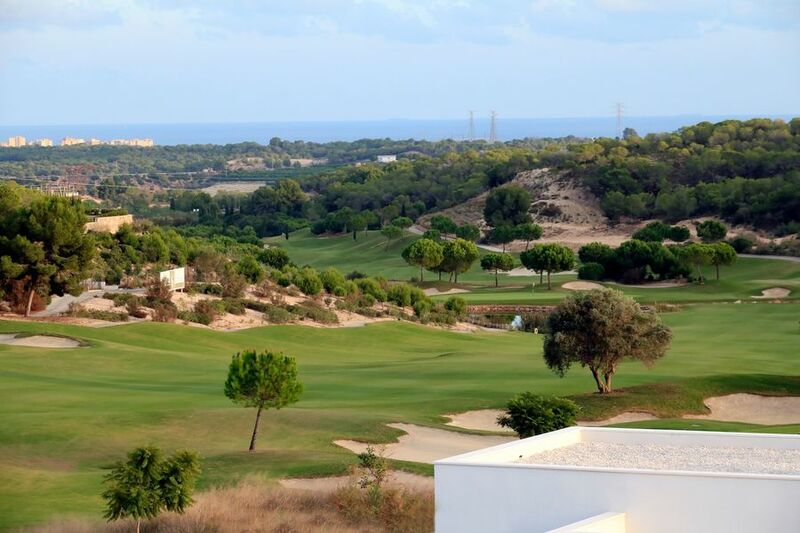 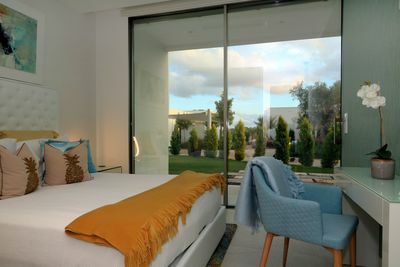 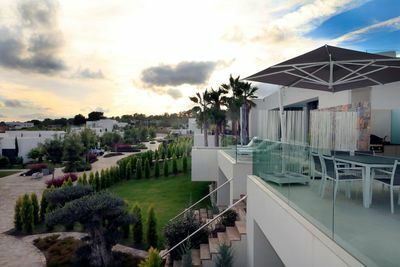 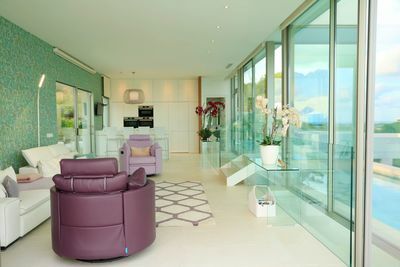 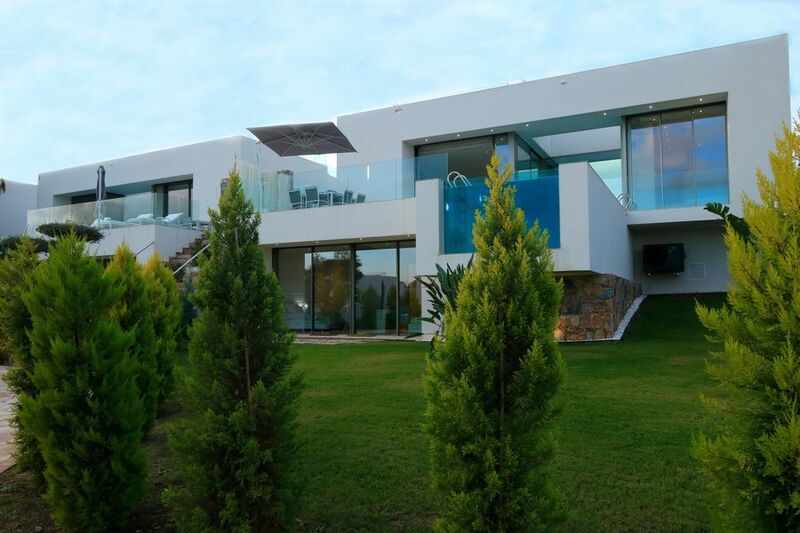 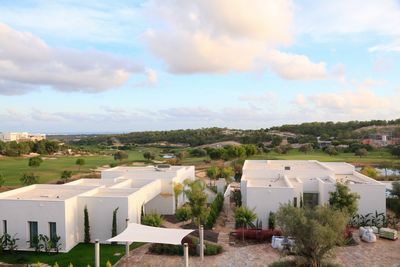 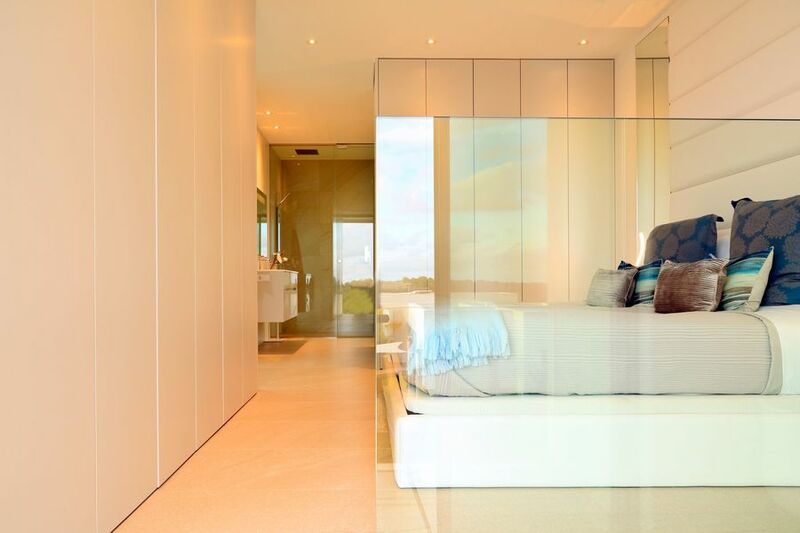 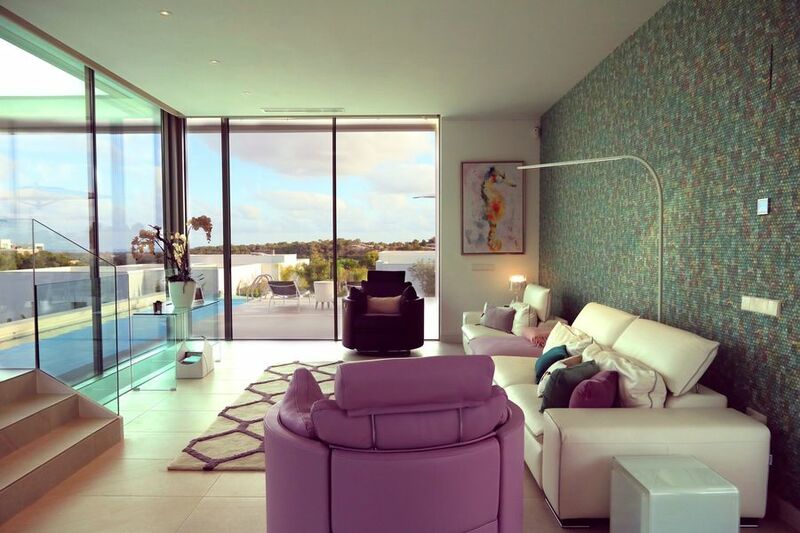 On entering the villa you get the immediate wow factor from the floor to ceiling windows and sliding doors, which offer views out over the golf course and to the sea. 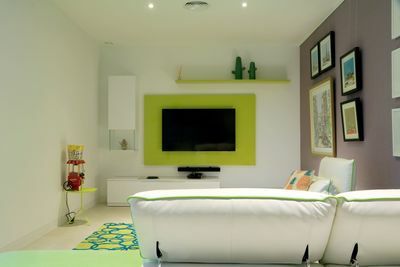 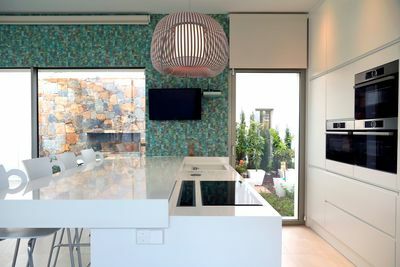 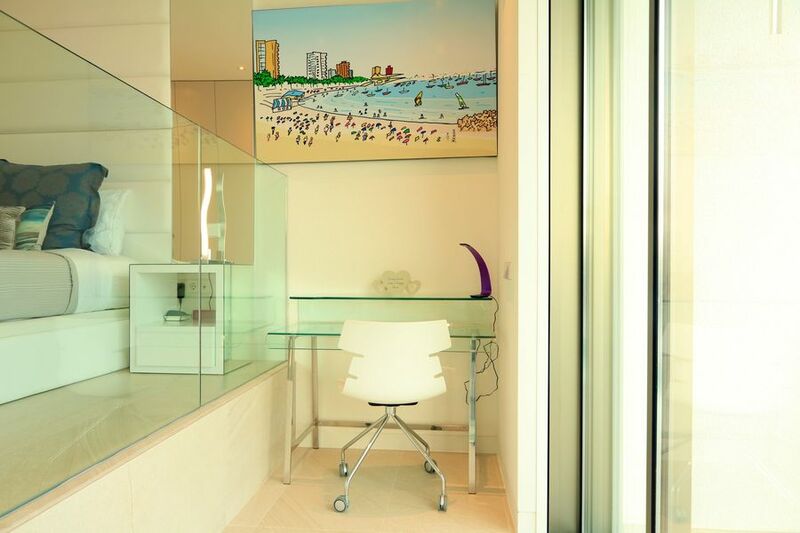 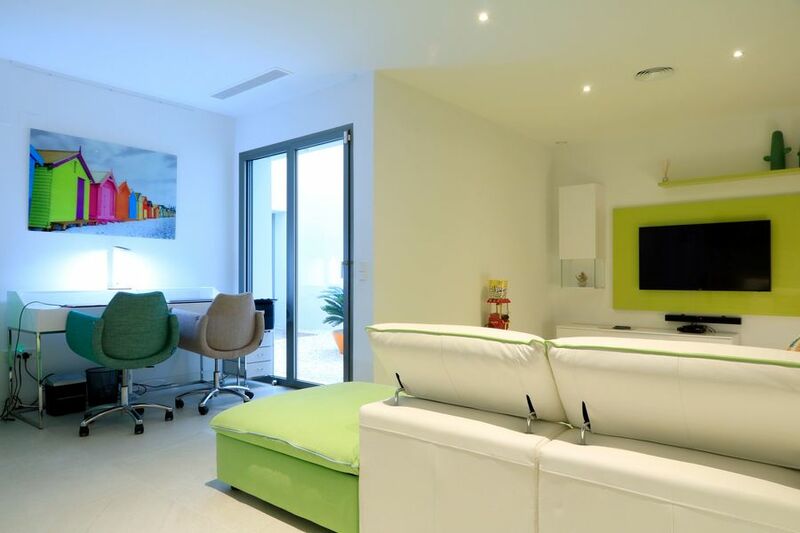 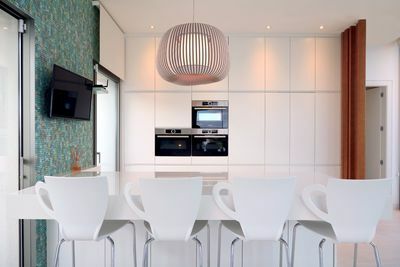 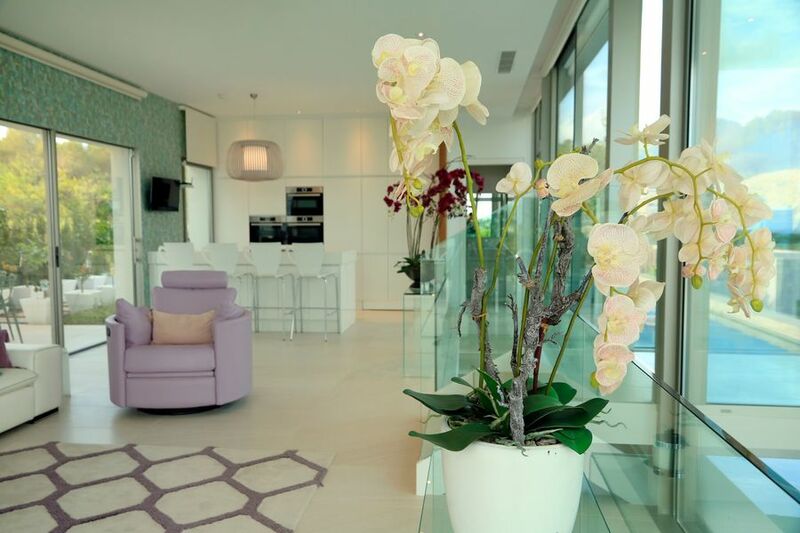 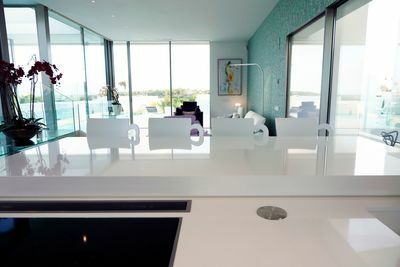 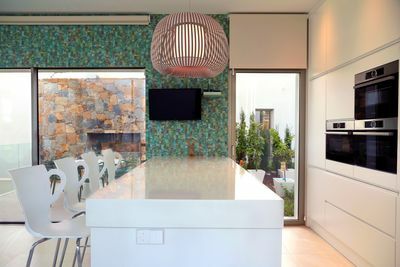 There is an open plan living and dining area, and a modern kitchen to the main living space. 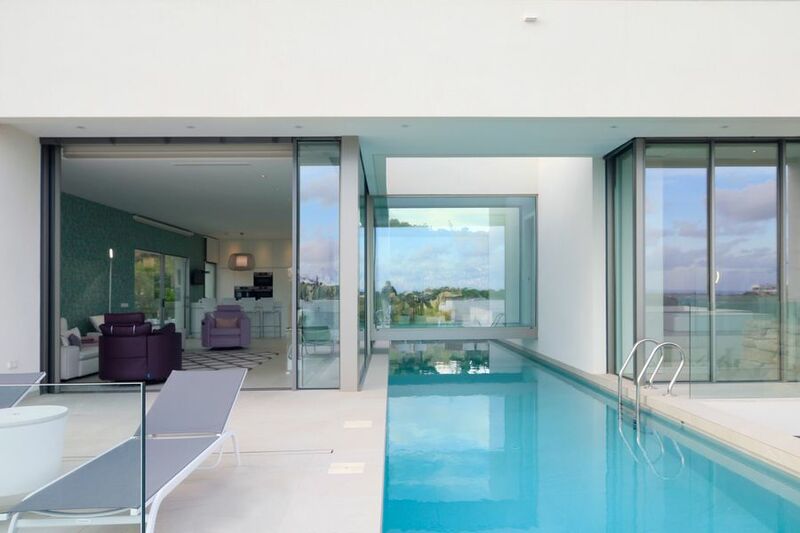 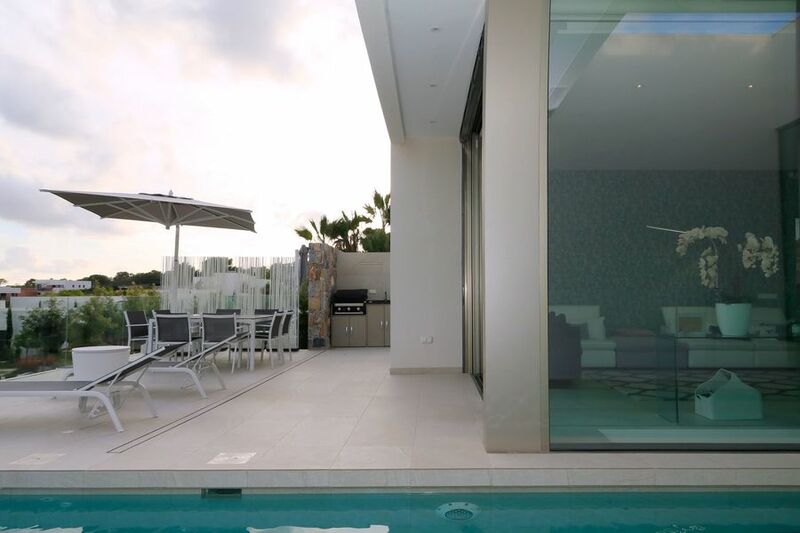 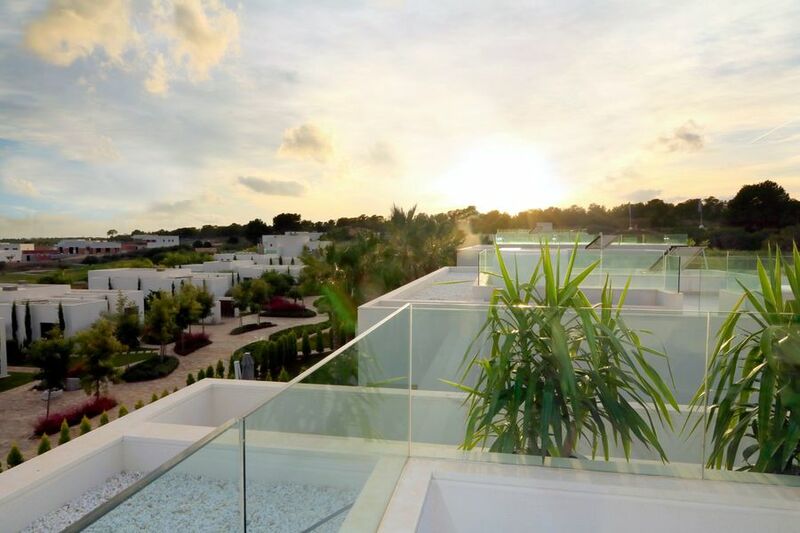 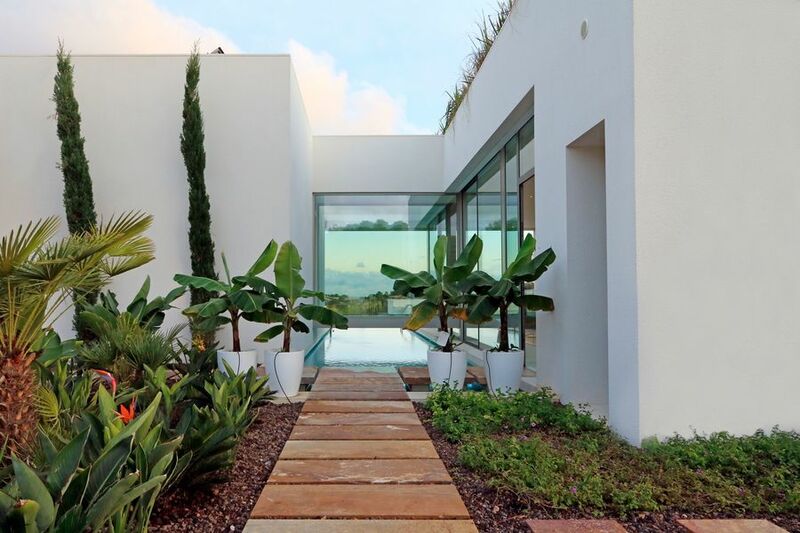 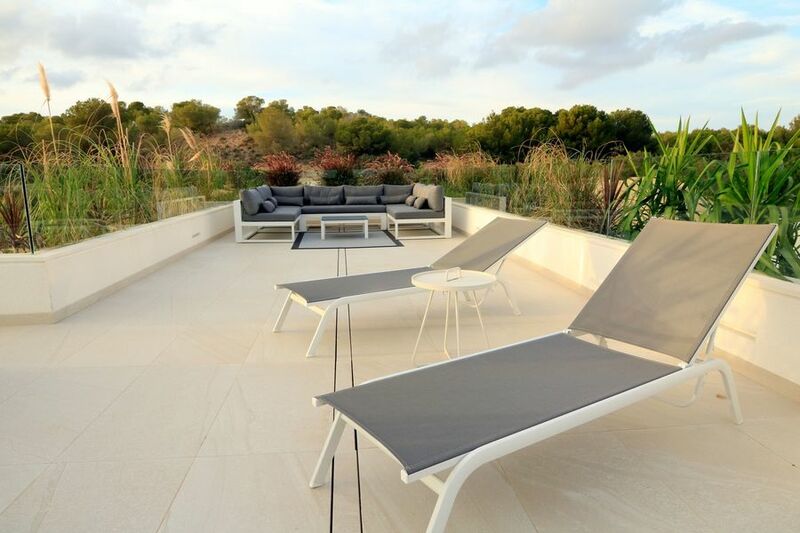 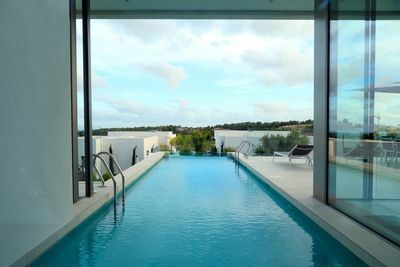 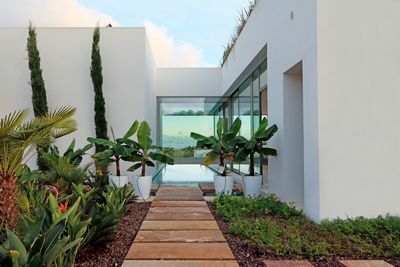 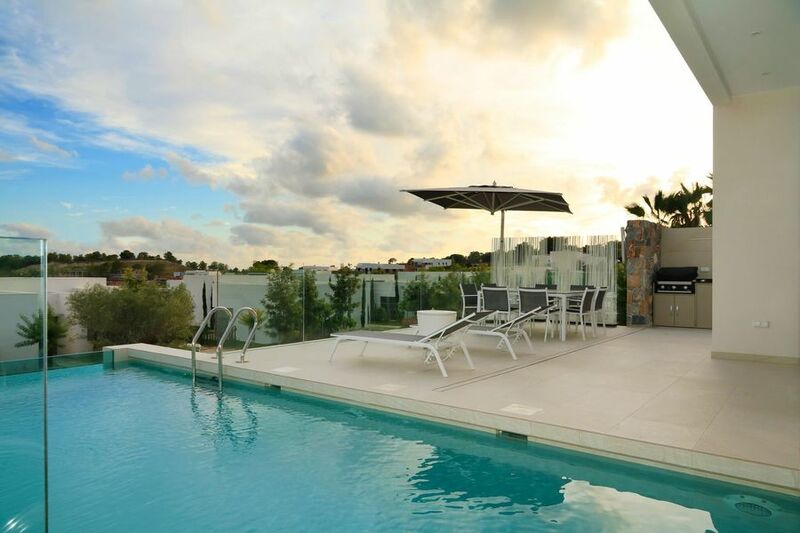 From here you can open the doors out to extend the main living area to the stunning terrace, complete with its bespoke infinity pool which overhangs the front of the property !. 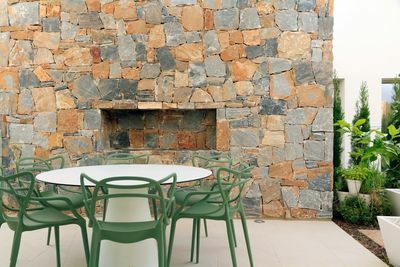 There is also a fantastic outdoor fireplace, perfect for entertaining on those cooler evenings. 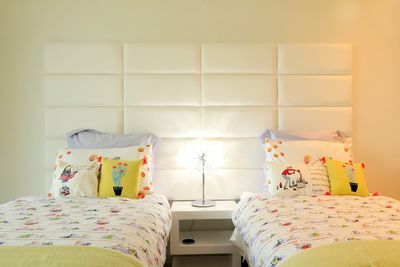 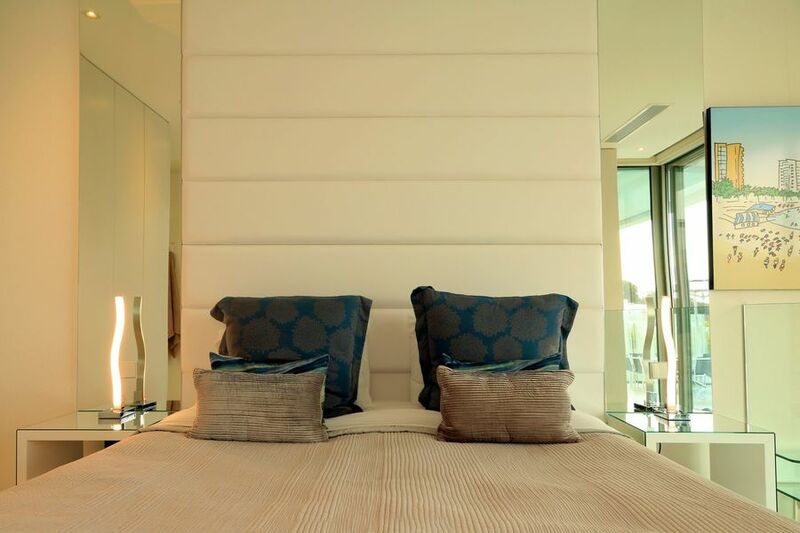 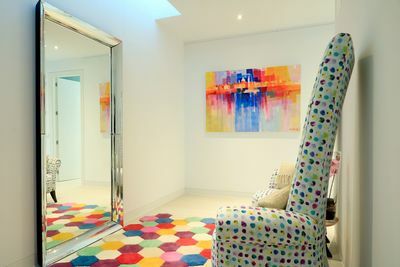 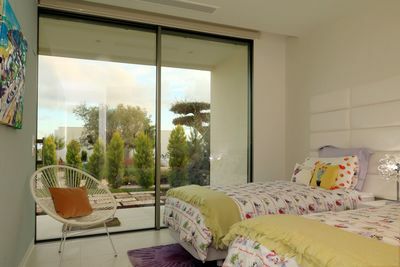 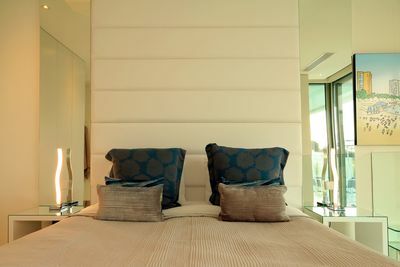 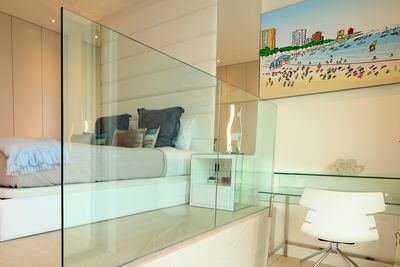 Back inside there are 2 double guest bedrooms both with fitted wardrobes, and 2 modern bathrooms. 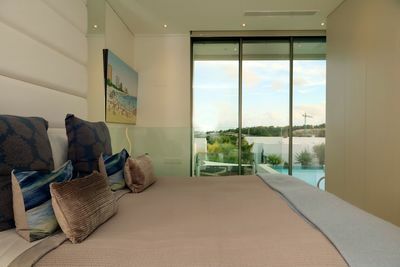 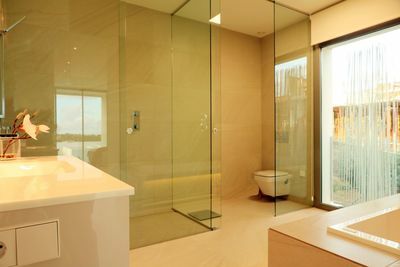 The master bedroom and en-suite bathroom is accessed via a bridge over the swimming pool !, and has stunning views out to sea. 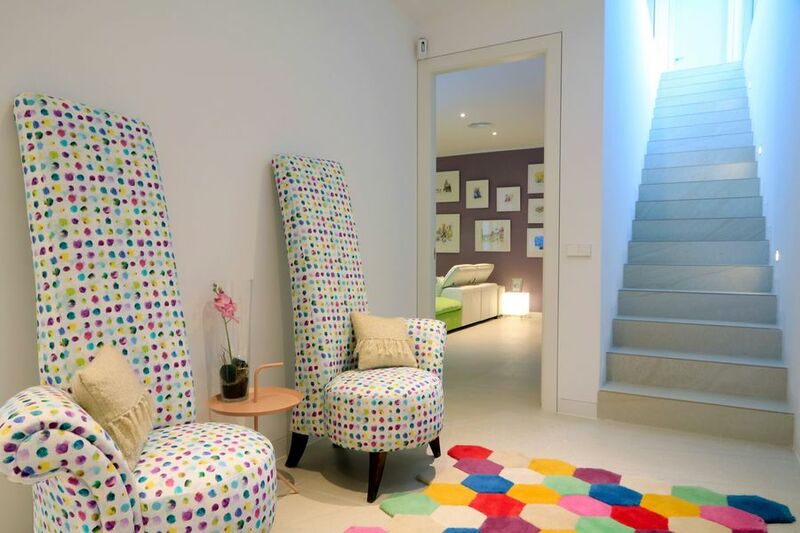 This property also features a basement media room, and to the top of the villa is an amazing solarium which takes in the most of the views on offer. 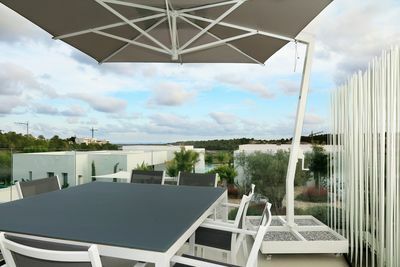 This truly unique villa must be seen to be appreciated as there are simply no other properties on the resort like these.